Below looks at Crude Oil and Crude’s Fear Index (OVX) since 2009. The one year trend in Crude Oil is up, after hitting lows near $30 per barrel around this time last year. The longer term trend in Crude Oil is lower, as it has created a series of lower highs and lower lows since 2010. Crude at this time is attempting to change its long-term trend. In 2015 Crude hit the underside of falling resistance, as fear levels were low at (1). What followed was a decline in Crude and a rally in fear. Currently, Crude finds itself testing the underside of falling resistance as fear levels have declined, back to the lows hit back in 2015. Crude and the S&P 500 DO NOT always correlate. Over the past couple of years for some reason, correlation between the two has been higher than normal. If the two year correlation trend would happen to continue, this price point might be important to Crude Oil and the broad markets. 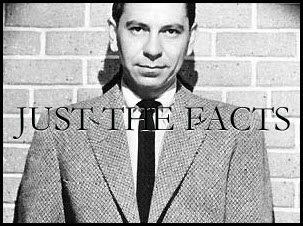 Joe Friday Just The Facts; With Fear levels low and Crude testing falling resistance, bullish Crude traders want/need to see Crude breakout and fear levels break down!